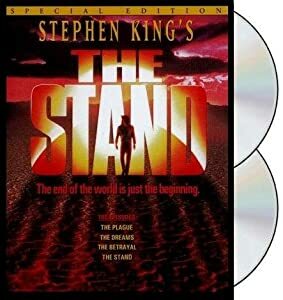 In Stephen King’s The Stand, one of the characters ponders the uselessness of certain disciplines in the United States’s modern economy. Traversing a world ravaged by the superbug Captain Trips, where only a few survivors remain to produce life’s barest essentials of food and water and struggle to fend off extinction, an advanced degree in ancient American Indian studies becomes a frivolous luxury item. Economic reality is forcing self-indulgent nations of the European Union to confront their own unproductive lifestyles and make major changes in the complacent charade of unsustainable luxuries they call their economies. But instead of being ravaged by a virulent superbug, they’re ravaged by the glorification of the Seven Deadly Sins as high art worthy of the fullest exploitation. The European Union isn’t alone in this. The United States still has very productive sectors of the economy, but mass lethargy is consuming more of the population as the worship of entitlement persists. The inability to discern luxury from necessity drives cults of personality emanating from the supreme navel gazing that has replaced serious thought in this country. Only over this foundation could the cultural phenomenon of people who are famous for being famous exist. This includes the current President of the United States. The president who started off with such dazzle now seems incapable of stimulating either the economy or the voters. His campaign is offering Obama 2012 car magnets for a donation of $10; cat collars reading “I Meow for Michelle” for $12; an Obama grill spatula for $40, and discounted hoodies and T-shirts. How the mighty have fallen. ‘How the might have fallen.’ How demeaning for such a great man to be troubled with the petty realities of having to produce goods that other people want to get their money in return. The legendary speaker who drew campaign crowds in the tens of thousands and inspired a dispirited nation ended up nonchalantly delegating to a pork-happy Congress, disdaining the bully pulpit, neglecting to do any L.B.J.-style grunt work with Congress and the American public, and ceding control of his narrative. Aside from the basic acknowledgement that campaigning for office and governing the country are two completely different jobs, and that anyone paying attention in 2009 remembers that Obama used the bully pulpit at every opportunity to push his healthcare bill, Dowd misses a key fact. Obama has always delegated the important aspects of his career to other people, and in a sense, he ceded control of his narrative in 2008 to the American people at large, allowing each and every citizen to project their own individual hopes and dreams onto the blank slate that was his candidacy. On the verge of financial ruin, the Eurozone and the United States don’t need profundity, they need a chief executive willing to engage the role, which is not to be a dreamer of great dreams. The job is to be a larger gear in the machine of state, one that accepts its place and turns and is turned alike. Europe is discovering that being famous and self-important aren’t productive careers and that Morlocks are needed to keep the machines moving as the Eloi frolic in the Greek paradise above. As the machines grind to a halt, burning down the forest won’t get them moving again. Obama’s story is the story of Europe and the story of the entitlement society at large. He is not only president of the Untied States but King of the Elois. A president focused on historic achievements? Imagine that. But in his lame way, Romney got at Obama’s problem: The Moviegoer prefers to float above, at a reserve, in grandiose mists. Whether you’re president or citizen, what’s really lame is floating in grandiose mists when the world needs you to put your feet on the ground, your hands on the tools, and your heart in the work. This entry was posted in Flawed Perspectives and tagged Eloi, European Union, Morlock, New York Times, Obama, Stand, Time Machine by frick. Bookmark the permalink.